There is no doubt that the Internet has changed the world of music for artists and record executives alike. 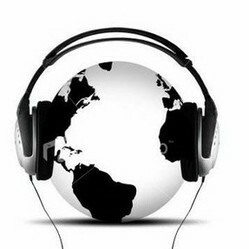 This article takes a look at the music industry and online world. There is no doubt that the Internet has had a profound impact on the world of music — from the way artists and songwriters interact with their fans to the way the recording industry makes its money. As with any revolution, the widespread availability of the Internet has had some positive repercussions and some negative ones as well. Businesses and individual artists alike are still trying to sort it all out and decide how best to move forward in a wired world. Many industry insiders would argue that the first impact the online world had was decidedly negative. The invention of Napster and other file sharing services allowed computer users all over the world to download all the music they wanted without paying a cent. That meant an enormous loss of profits for the record companies and for the artists whose music was being stolen on a wholesale basis. In the end, the ability to download music so easily became a double-edged sword — one that could have a positive impact on artists As illegal file sharing sites gave way to 'Tunes, Amazon and other legitimate venues for downloading music, artists began to discover a new way to connect with their audiences. The Internet has allowed artists to directly connect with their audiences in a way that was impossible before the digital revolution. Before the Internet, artists connected with their audiences mainly through touring — and through their record labels. The Internet allowed those artists to reach their audiences directly — even without a record deal or a major label in their corner. These days just about every musical artist has their own website, complete with links to free music samples and digital downloads for purchase. Artists are also taking full advantage of social media outlets like Facebook and Twitter, providing yet another venue for marketing and self-promotion. While the online world and legitimate download sources have helped artists sell more music and gain new fans, many bands and individual artists still struggle to stop piracy and illegal downloading of their copyrighted works. Record labels are also fighting back against the sites facilitating those illegal downloads, and against the individuals who continue to take advantage of the stolen works that can be found there. Artists who rely on music sales to make a living have a vested interest in preventing piracy, and the record industry continues to work hard to shut down illegal download sites and prosecute the pirates. The Internet has also had a strong impact on the world of touring, with many new bands relying on a heavy touring schedule to generate the kind of buzz that leads to strong music sales and handsome profits. Touring has always been an important part of the music industry, but in many ways the Internet has made those live shows even more critical. Live shows often provide bands with a great venue for selling their work, making it an important part of their overall business strategies Impulse purchases of CD apparel and other merchandise can be very profitable, especially for bands that tour consistently and develop a strong following of loyal fans. Bands can also use their live shows to market their online works and websites. Bands that tour live can use their stage shows to promote themselves and spread the word about their music, making the Internet an integral part of their sales strategy. Many bands are also using the Internet to market special merchandise to their most loyal fans, from CD singles and limited edition songs to apparel and tour books Bands can also use specials like free daily downloads to market their websites, mailing lists and social media pages allowing them to connect with their existing fans while they build their fan bases and expand their reach. The full impact of the Internet revolution will not be known for some time, and the online world continues to adapt and evolve. As online pirates look for new ways to steal music, record labels and individual artists seek new ways to combat the theft and punish the wrongdoers. As music fans continue to move away from CDs and toward digital downloads, artists look for ways to deliver their music efficiently and effectively. As new devices like smart phones and tablet computers come on to the market, artists and record labels look for ways to utilize those new technologies to their advantage. That means that modern artists and recording industry executives need to move faster than ever to keep up with an ever-changing online world. The online music broadcast certainly is moving very rapidly. Its amazing how tablets such as the nook and kindle fire are making an even bigger difference in how music is obtained. It must create a significant impact indeed.